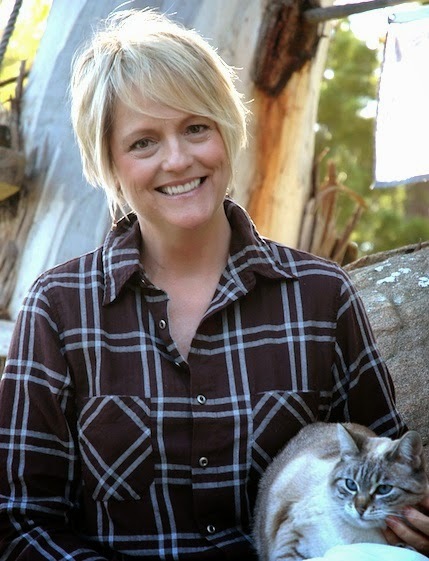 I am thrilled to be the very first stop on the Won Ton and Chopsticks Blog Tour sponsored by Blue Slip Media. 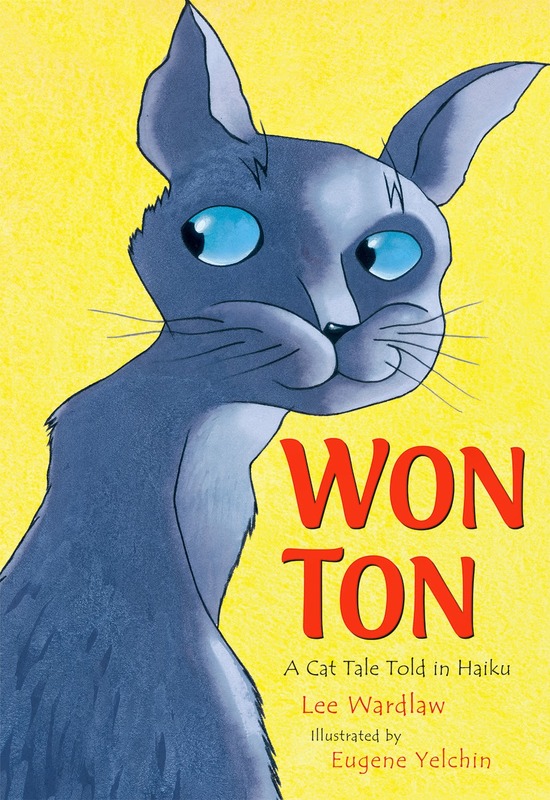 Won Ton and Chopstick: A Cat and Dog Tale Told in Haiku is Lee Wardlaw's adorable follow up/companion to the much loved Won Ton: A Cat Tale Told in Haiku. Fans of Won Ton are sure to love in this soon-to-be-classic book! A new puppy (Chopstick) joins the family and there is "The Adjustment" (among other things...). Each haiku follows the story of Won Ton, Chopstick, and their new family dynamics. Don't miss out on reading this to your students especially for Poetry Month coming up in April. Want even more? Blue Slip has also made an activity kit AND a teacher's guide available! "Won Ton has a happy life with his Boy, until…Ears perk. Fur prickles. My eyes full of Doom.A new puppy arrives, and nothing will be the same.Told entirely in haiku and with plenty of catitude, the story of how Won Ton faces down the enemy is a fresh and funny twist on a familiar rivalry." 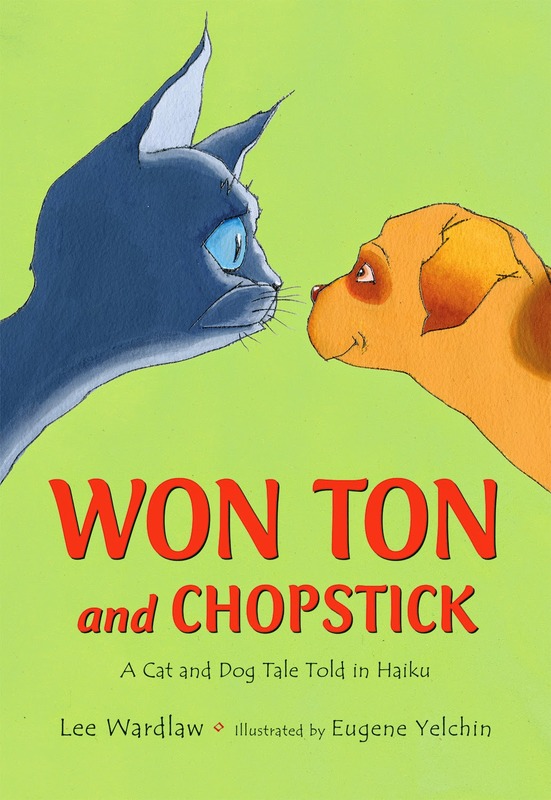 One lucky winner will receive both books featuring the adorable cat, WON TON--WON TON: A CAT TALE TOLD IN HAIKU and WON TON AND CHOPSTICK: A CAT AND DOG TALE TOLD IN HAIKU. (U.S. addresses.) Enter below to win!